“Divining Rod” – After a notorious serial killer is executed, a copycat begins murdering women in the same Oklahoma town and in the same fashion, and the BAU team must act fast before more victims are found. 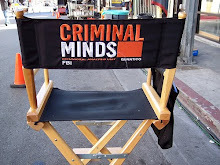 Also, Prentiss gets nervous at the thought of a major real estate purchase, on CRIMINAL MINDS, Wednesday, May 2 (9:00-10:00 PM, ET/PT) on the CBS Television Network. Mackenzie Astin (“The Facts of Life”) guest stars as shuttle driver Dylan Kohler. Please join us in wishing a very Happy Birthday to Shemar Moore who celebrates his birthday on April 20th. Happy Birthday, Shemar! The song played at the end of the Criminal Minds episode "The Company" is called "Be Still" by The Fray. “The Company” – When Morgan’s sister sees a woman who looks like their presumed-dead cousin, Cindi, it forces Morgan to confront a lie he told his family last year to provide closure and compels the BAU to reopen the case of her disappearance, on CRIMINAL MINDS, Wednesday, April 11 (9:00-10:00 PM, ET/PT) on the CBS Television Network. Guest Stars include Shanola Hampton (“Shameless”) as Morgan’s missing cousin Cindi, Chad L. Coleman (“The Wire”) as family acquaintance Malcolm Ford, Erica Gimpel (“Fame,” “The Young and the Restless”) as Morgan’s sister Sarah, and Denise Dowse (“The Guardian,” “Beverly Hills, 90210”) as Morgan’s aunt Yvonne Burns. @joemantegna posted this pic with this note: "Any questions about it will not be answered. What ever you may want to know about it will be answered by the end of this season." 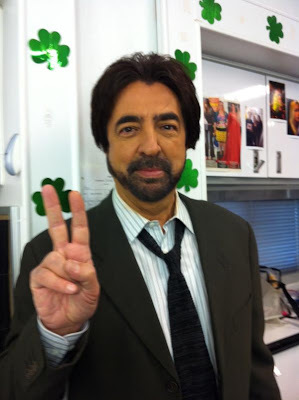 To talk about your favorite TV show "Criminal Minds" please join our CMF Message Board. Please read the instructions in this post carefully so we can approve your registration as soon as possible. 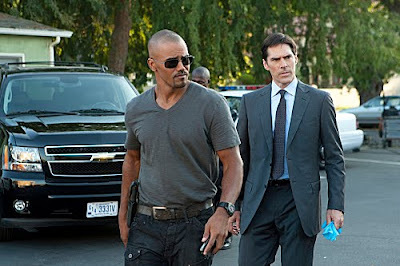 All content is copyrighted by Criminal Minds Fanatic Blogspot.